Otherwise they'll threaten to leave. 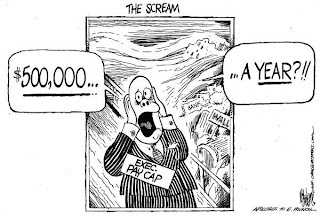 So the pay cap of $500K gets lifted. Because here's what they are getting paid the big bucks for. The folks at AIG have calculated the over/under for the number of mistresses that will come forward for Tiger Woods at 24!